Literature References: Vitamin B1 source. Prepn: A. Ito et al., DE 1130811 (1962), C.A. 57, 13764h (1962). Exists as 3 temperature dependent crystalline forms, a, g, d: A. Ito et al., Takamine Kenkyusho Nempo 14, 64 (1962); C.A. 59, 3920a (1963). Pharmacokinetics: H. Nogami et al., Chem. Pharm. Bull. 18, 1937 (1970). Clinical bioequivalence to thiamine: R. Bitsch et al., Ann. Nutr. Metab. 35, 292 (1991). Properties: Crystals, dec 165° (d-form). It has been licensed for use in Germany since 1993 under the trade name Milgamma. (Combinations with pyridoxine or cyanocobalamin are also sold under this name.) It is prescribed there for treating sciatica and other painful nerve conditions. It is marketed as a medicine and/or dietary supplement, depending on the respective Regulatory Authority. Benfotiamine may be useful for the treatment of diabetic retinopathy, neuropathy, and nephropathy however “Most of the effects attributed to benfotiamine are extrapolated from in vitro and animal studies. Unfortunately apparent evidences from human studies are scarce and especially endpoint studies are missing. Therefore additional clinical studies are mandatory to explore the therapeutic potential of benfotiamine in both diabetic and non-diabetic pathological conditions”. It is thought that treatment with benfotiamine leads to increased intracellular thiamine diphosphate levels, a cofactor of transketolase. This enzyme directs advanced glycation and lipoxidation end products (AGE’s, ALE’s) substrates to the pentose phosphate pathway, thus reducing tissue AGEs. After absorption, benfotiamine can be dephosphorylated by cells bearing an ecto-alkaline phosphatase to the lipid-soluble S-benzoylthiamine. Benfotiamine should not be confused with allithiamine, a naturally occurring thiamine disulfide derivative with a distinct pharmacological profile. ​ Chemical composition of the same species, in various physico-chemical conditions, crystallization into two or more different structure of the crystalline phenomenon, also referred to as polymorphs or homogeneous an image drug polymorph is a common phenomenon of drug discovery, drug quality is an important factor. Various polymorphs have different physical properties such as appearance, melting point, hardness, dissolution rate, chemical stability, mechanical stability, etc. differences, these differences in the physical properties of the sometimes affect the stability of the drug, bioavailability, even the drug availability. Thus, in drug development, it should be fully considered drug poly-type problems, the type of study and control in drug development of significant research content. ​ The paralysis; myocardial metabolism disorders, constipation, gastrointestinal motility dysfunction. 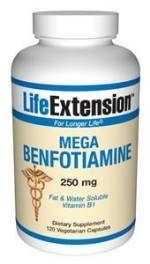 The benfotiamine as vitamin B 1 supplemental agents have been in the united states, japan, europe, etc worldwide market. Recent studies have shown that, benfotiamine in diabetic peripheral neuropathy and retinopathy of significant therapeutic effect. In addition, our studies, benfotiamine may also be applied to the prevention and treatment of alzheimer’s disease, and aging. ​ China and the USA, the world there have been the following two classes of drugs approved for AD treatment: cholinesterase inhibitors and N-methyl D-aspartate (NMDA) receptor antagonist are both improved AD patient symptoms, slow disease progression does not prevent or reverse the progression of a disease. 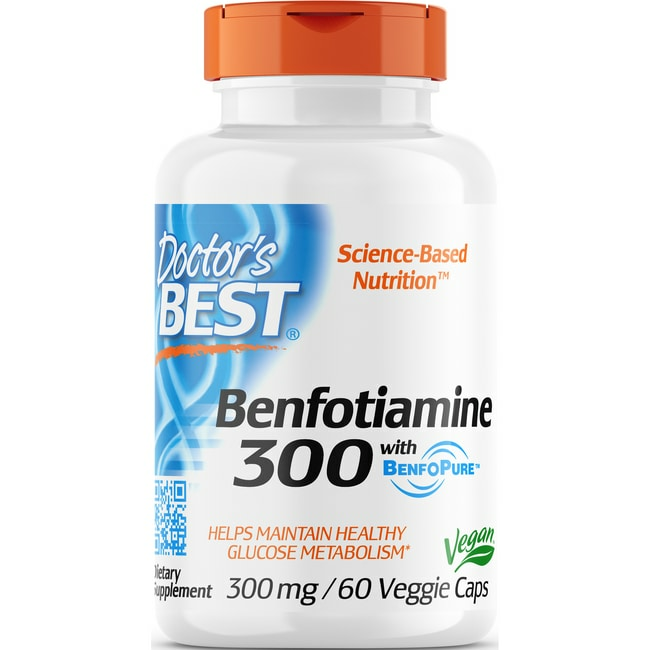 The benfotiamine by inhibiting the sugar synthase kinase -3 (Glycogen synthase kinase -3, GSK -3) activity, decrease in brain beta-amyloid protein (beta-amyloid, alpha beta) the deposition and tau protein phosphorylation, reduce alzheimer’s disease, pathological damage. Thiamine derivatives such as thiamine monophosphate dihydrate and S-benzoyl thiamine monophosphate compounds and salts thereof are useful as therapeutics and nutrients. Further, some of the thiamine derivatives are known to be biochemically important compounds. There are processes known where thiamine derivatives have been prepared by reacting thiamine with polyphosphoric acid derived from phosphoric acid; heating of the two gives a mixture of thiamine phosphate comprising thiamine 0- monophosphate, thiamine O-diphosphate, thiamine O-triphosphate and thiamine O-polyphosphate. Each polyphosphate may be isolated from the reaction mixture. However, the above prior process is commercially unpractical, because yields of the desired phosphates isolated are extremely poor. In another process, orthophosphoric acid is used as phosphorylating agent to convert thiamine hydrochloride into thiamine monophosphate. The process demands heating acids like orthophosphoric acid which is considered to be highly unsafe up to 270° C. Moreover, this prior art process does not produce the desired product immediately after work up. The process requires 7 days to get all higher phosphates derivatives eq. Thiamine diphosphate (cocarboxylase) and thiamine triphosphate to convert into thiamine monophosphate. The prepared thiamine monophosphate dihydrate is converted into S-benzoyl thiamine monophosphate by reaction with benzoyl chloride or dibenzyl sulfide or Sodium benzoyl thiosulfate. Due to such drastic conditions the intermediate purity and in turn the product purity is extremely poor requiring series of purification steps. In yet another process, compounds like P205 which are unsafe from operation point of view since it requires changing into orthophosphoric acid at considerably high temperature. This process gives the mixture of mono, di, tri and tetra phosphate derivatives of thiamine. The process provides that even after hydrolysis, the reaction mass contains only 61 -62% desired thiamine monophosphate dihydrate along with 31 -32 % cocarboxylase and 2-3 % thiamine triphosphate. Further, it requires their separation by means of techniques like Ion Exchange which is again troublesome and not advantageous from process point of view. Thus, the processes known hitherto for the production of such thiamine derivatives such as thiamine monophosphate dihydrate and S-benzoyl thiamine monophosphate compounds and salts thereof have cost and/or lower yield with poor quality disadvantages. The prior art processes also suffer in that the workup of reaction mass is tedious which eventually increases the manufacturing cost. 1 .5% of thiamine chloride After cooling hot deminerahzed water was added and the reaction mass heated to 90 Deg C. The reaction mass was maintained at this temperature for 5-6 hours. 1 .0% of thiamine chloride The reaction mass is allowed to cool up to 25 Deg C. To this was added 4000 ml Tri-n-butyl amine and 5000 ml chloroform. The two layer formed was separated and product was recovered from aqueous layer by adding 5000 ml methanol by filtration. Dry weight of thiamine monophosphate dihydrate was 862 g (almost 100 % yield ) of purity 99 % by HPLC. Melting point 198-200 Deg C.
Preparation of S-benzoyl thiamine monophosphate 100 g thiamine monophosphate dihydrate was added to 300 ml water and cooled up to 0 to 5 Deg C. 10 % caustic solution is run in to this solution to make pH 8 – 10. 75 g of benzoyl chloride was added drop wise to the mixture with stirring within 4 hours and maintained the reaction mixture alkaline by occasional addition of 25% aqueous sodium hydroxide. After the completion of reaction, the mass is concentrated to dryness and the product was isolated by adding acetone. The precipitated solid was filtered and dried. Dry weight of product was 75 g.
To a mixture of 15 g of S-benzoyl thiamine O-monophosphate dihydrate with 35 ml of water is added with stirring and ice cooling a 10% solution of Magnesium hydroxide to adjust pH to about 8.0. The resulting solution is filtered, added with acetone and allowed to stand at cold place to precipitate crystals of Magnesium salt of S-benzoyl thiamine O-monophosphate. The crystals are filtered and dissolved in a small amount of water. Acetone is then added to the solution to give a recrystallization of purified product, which is dried in vacuum oven. Yield 9 g and melt with decomposition at 205 Deg C.
Example I: Phosphorus oxychloride 15. 33g (O. Imol) was added to the water 10. 8mL, placed in an ice bath with stirring O. 5 hours was added portionwise thiamine 26. 53g (O. lmol), warmed to 50 ° C followed by stirring for 2 hours, cooled to room temperature to obtain a solution of phosphorus thiamine, thiamine HPLC phosphorus content of 91.36%, adjusted with 15% NaOH solution to pH 8_9 the solution was added 28. Ilg (O. 2mol) benzoyl chloride, the 0_5 ° C under stirring, monitoring the reaction solution and pH changes, the pH value is stable, does not change when the reaction liquid PH, stirring was continued for I hour the reaction, the solution was adjusted to pH 3. 5-4. 0, suction filtration to give 33. 58g benfotiamine white solid. Yield 71.9%. MP: 164-165 ° C; H1 NMR (400MHz, CDCl3): 2.18 (s, 3H), 2.56 (s, 3H), 2 58 (t, / = 6 7,2H. ), 4.. 33 (t, / = 6.7,2H), 4. 83 (s, 2H), 7. 44 (m, 2H), 7. 57 (dd, / = 7. 3, J = I. 5, 1H), 7. 60 (m, 2H), 7. 70 (s, 1H), 8. 67 (s, 1H). Example 2: Phosphorus oxychloride 15. 33g (O. lmol) was added to a 7. 2mL of water, placed in an ice bath with stirring O. 5 hours was added portionwise thiamine 21. 23g (O. OSmol), warmed to 60 ° C followed by stirring for 2 hours, cooled to room temperature to obtain a solution of phosphorus thiamine, thiamine HPLC phosphorus content of 92.37%, adjusted with 15% NaOH solution to pH 8_9 the solution was added 28. Ilg (O. 2mol) benzoyl chloride, stirred at 0-5 ° C, and monitoring the pH of the reaction solution changes, stable pH, the reaction solution PH does not change when the stirring was continued for I hour the reaction, the solution pH adjusted to 3. 5-4. 0, suction filtration to give 27. 69g benfotiamine white solid. Yield 74.2%. MP: 164-165 ° C; H1 NMR (400MHz, CDCl3):.. 2.18 (s, 3H), 2 56 (s, 3H), 2 58 (t, / = 6 7,2H. ), 4. 33 (t, / = 6.7,2H), 4. 83 (s, 2H), 7. 44 (m, 2H), 7. 57 (dd, / = 7. 3, / = 1. 5, 1H ), 7. 60 (m, 2H), 7. 70 (s, 1H), 8. 67 (s, 1H). Example 3: Phosphorus oxychloride 15. 33g (O. lmol) was added to a 3. 6mL of water, placed in an ice bath with stirring O. 5 hours was added portionwise thiamine 15. 92g (O. 06mol), warmed to 70 ° C followed by stirring for 2 hours, cooled to room temperature to obtain a solution of phosphorus thiamine, thiamine HPLC phosphorus content of 93.23%, adjusted with 15% NaOH solution to pH 8_9 the solution was added 28. Ilg (O. 2mol) benzoyl chloride, stirred at 0-5 ° C, and monitoring the pH of the reaction solution changes, stable pH, the reaction solution PH does not change when the stirring was continued for I hour the reaction, the solution pH adjusted to 3. 5-4. 0, filtration, benfotiamine was a white solid 23. 71g. Yield 84.7%. MP: 164-165 ° C; H1 NMR (400MHz, CDCl3): 2.18 (s, 3H), 2.56 (s, 3H), 2 58 (t, / = 6 7,2H. ), 4.. 33 (t, / = 6.7,2H), 4. 83 (s, 2H), 7. 44 (m, 2H), 7. 57 (dd, / = 7. 3, / = 1. 5, 1H), 7. 60 (m, 2H), 7. 70 (s, 1H), 8. 67 (s, 1H). Example 4: Phosphorus oxychloride 15. 33g (O. lmol) was added to a 7. 2mL of water, placed in an ice bath with stirring O. 5 hours was added portionwise thiamine 10. 62g (O. 04mol), warmed to 80 ° C followed by stirring for 2 hours, cooled to room temperature to obtain a solution of phosphorus thiamine, thiamine HPLC phosphorus content of 95.26%, adjusted with 15% NaOH solution to pH 8_9 the solution was added 28. Ilg (O. 2mol) benzoyl chloride, stirred at 0-5 ° C, and monitoring the pH of the reaction solution changes, stable pH, the reaction solution PH does not change when the stirring was continued for I hour the reaction, the solution pH adjusted to 3. 5-4. 0, filtration, benfotiamine was a white solid 15. 22g. Yield 85.2%. 1 “BBC news story: Back pain drug ‘may aid diabetics'”. BBC News. 18 February 2003. J Lin, A Alt, J Liersch, RG Bretzel, M Brownlee (May 2000). “Benfotiamine Inhibits Intracellular Formation of Advanced Glycation End Products in vivo” (PDF). Diabetes. 49 (Suppl1) (A143): 583. Balakumar P, Rohilla A, Krishan P, Solairaj P, Thangathirupathi A (2010). “The multifaceted therapeutic potential of benfotiamine”. Pharmacol Res 61 (6): 482–8. doi:10.1016/j.phrs.2010.02.008. PMID 20188835. Since AGEs are the actual agents productive of diabetic complications, in theory, if diabetic patients could block the action of AGEs completely by benfotiamine, strict blood sugar control, with its disruption of lifestyle and risks to health and life by severe hypoglycemic episodes, could be avoided, with revolutionary implications for the treatment of diabetes. Hammes, HP; Du, X; Edelstein, D; Taguchi, T; Matsumura, T; Ju, Q; Lin, J; Bierhaus, A; Nawroth, P; Hannak, D; Neumaier, M; Bergfeld, R; Giardino, I; Brownlee, M (2003). “Benfotiamine blocks three major pathways of hyperglycemic damage and prevents experimental diabetic retinopathy”. Nat Med 9 (3): 294–299. doi:10.1038/nm834. Stirban A, Negrean M, Stratmann B; et al. (2007). “Adiponectin decreases postprandially following a heat-processed meal in individuals with type 2 diabetes: an effect prevented by benfotiamine and cooking method”. Diabetes Care 30 (10): 2514–6. doi:10.2337/dc07-0302. PMID 17630265. Stracke H, Hammes HP, Werkmann D; et al. (2001). “Efficacy of benfotiamine versus thiamine on function and glycation products of peripheral nerves in diabetic rats”. Exp. Clin. Endocrinol. Diabetes 109 (6): 330–6. doi:10.1055/s-2001-17399. PMID 11571671. Stirban A, Negrean M, Stratmann B; et al. (2006). “Benfotiamine prevents macro- and microvascular endothelial dysfunction and oxidative stress following a meal rich in advanced glycation end products in individuals with type 2 diabetes”. Diabetes Care 29 (9): 2064–71. doi:10.2337/dc06-0531. PMID 16936154. Babaei-Jadidi R, Karachalias N, Ahmed N, Battah S, Thornalley PJ (2003). “Prevention of incipient diabetic nephropathy by high-dose thiamine and benfotiamine”. Diabetes 52 (8): 2110–20. doi:10.2337/diabetes.52.8.2110. PMID 12882930. Yamazaki, M (1968). “Studies on the absorption of S-benzoylthiamine O-monophosphate : (I) Metabolism in tissue homogenates”. Vitamins 38 (1): 12–20. Volvert, M.L. ; Seyen, S.; Piette, M.; Evrard, B.; Gangolf, M.; Plumier, J.C.; Bettendorff, L. (2008). “Benfotiamine, a synthetic S-acyl thiamine derivative, has different mechanisms of action and a different pharmacological profile than lipid-soluble thiamine disulfide derivatives”. BMC Pharmacology 8 (1): 10. doi:10.1186/1471-2210-8-10. PMC 2435522. PMID 18549472. By DR ANTHONY MELVIN CRASTO Ph.D in Uncategorized on February 14, 2016 .